Back in February 2013, something amazing happened to the world of marketing: A brand did something moderately clever, which resulted in a year of analysis and attention. I’m talking about Oreo’s live tweet during the Super Bowl blackout at the Super Dome that sparked a craze for what has now been crowned real-time marketing (RTM). Real-time marketing has come to mean different things to different parts of the marketing department. For some, it requires constant monitoring, war rooms, and an on-call team ready to map a message to an instantaneous opportunity. For others, RTM is a new way to stand apart even if the odds are stacked against them. But should they care? RTM is at odds with almost everything marketers are trained and tooled to do. It is opportunistic and executed based on current, often breaking news or events. However, most brands spend weeks and months to develop marketing plans and campaigns before unveiling them to the world. Most marketers are not prepared to operate a newsroom, or at least not one with much longevity. Participating in real-time events can be effective with alternative methods like responsive marketing, but it requires appropriate resources and planning for proper execution. The possibility of catching lightning in a bottle can be just too exciting to ignore. Those few companies that are able to react quickly, and flexibly insert their brand into large-scale opportunities in a matter of minutes, reap the benefits of brand awareness and positive sentiment that others pay millions to achieve with advertising. They’re not just all-in, they’re also lucky as hell. Since Oreo’s successful moment, countless brands have attempted to recreate that real-time marketing magic with minimal success. One notable exception was Arby’s teasing of Pharrell after his 2014 Grammy appearance. Within an hour, Arby’s tweeted “Hey @Pharrell, can we have our hat back? #Grammys” – the comparison of the singer’s hat to the Arby’s logo was spot-on (McDonald’s couldn’t have made that claim). 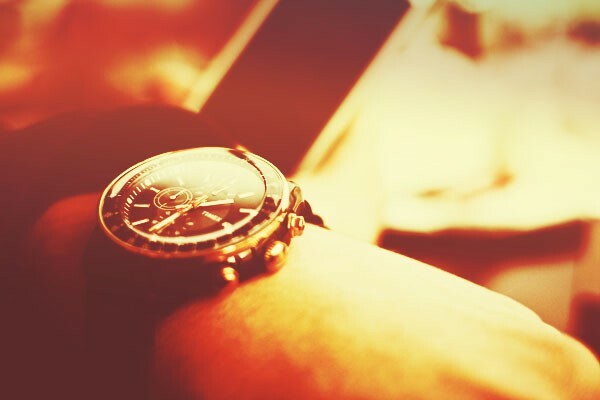 Real-time marketing success requires happenstance. Don’t compete for the moment. Compete for meaning. If you compete for the moment you’re irrelevant. Even if we could reliably predict when meaningful moments would arise, most brands simply don’t know how to work in real time. They aren’t making a massive investment to be at the ready when a major event unfolds – and rightly so. Committing so many resources when no one knows for sure what, if anything, will happen is high-stakes gambling at best. The better bet is responsive marketing. But what precisely is responsive marketing? Responsive marketing is the strategy that incorporates near-time insights to create and deliver relevant, engaging marketing. Responsive marketing conceptually leverages the best of traditional campaign-based techniques without necessarily going fully real-time. Responsive stands apart from other strategies in that it relies on a real-time understanding of the customer, creating opportunities to align a brand’s marketing message to both prospects and customers. If real-time marketing is the thing that introduces change into our organizations – so be it. But it cannot be the strategy that drives that change. It is better for you to invest your time and effort to create a process that makes marketing more consistent than to try and create something to go viral. While real-time marketing often requires brands to talk at people instead of with people, responsive marketing allows marketers to create better relationships between the brand and consumers. During the 2015 Super Bowl, McDonald’s gave away dozens of prizes that tied in with each advertiser’s commercial. Each tweet included a call to action encouraging people to retweet a complimentary message about one of the other advertisers for the chance to win anything from an Xbox One to a vehicle from Mercedes. Deborah Wahl, U.S. Chief Marketing Officer for McDonald’s, said she thought this would be a fun and unique way to “start a dialog” with consumers: “We want to engage in ways that are more relevant and more meaningful.” In true responsive marketing fashion, McDonald’s allocated appropriate budgets, researched other advertisers’ Super Bowl plans, and dedicated resources to prepare for this execution well ahead of game day. Pantene executed a successful responsive marketing campaign during the 2013 Oscars when it tweeted illustrations of attending celebrities along with tips on how to get their red carpet hairstyles. Two years later, #WantThatHair was still a trending topic during the 2015 Oscars. Effective responsive marketing techniques lend to higher repeatability. A responsive marketing team takes cues from the consumer and values agility and engagement. Tactically, this means listening so you know when and how to interact, and taking a hard look at the structure and strategies of marketing organizations to ensure optimization for responsiveness. Real-time marketing is really a subset of the more strategic, methodical responsive marketing. Yes, Oreo was touted as the real-time marketing champion for the blackout moment, but it already had built a strategy of learning how to react to events and customers. Back in 2012, Oreo celebrated its 100th anniversary with the Daily Twist campaign – 100 days of ads that tied with holidays and one-off events like the introduction of the Apple iPhone 5. Oreo was able to pull off a successful real-time marketing moment because it already was highly skilled at responsive marketing. Real-time marketing is a limited-use tactic. Consider that relative to your broader spend. Responsive marketing is the ultimate approach. Devise ways to incorporate the customer thoughts and trends into your content without the one-hit wonders. Invest in the success of your customer over gimmicks. The good thing? Today, people are basically telling brands exactly what they’re interested in and in many cases already making the content themselves. Brands now have an always-on focus group to pull and learn from. We have more insights into who our customers are and who they perceive us to be than ever before. It’s up to marketers to decide what to do now with this data. Will they learn from it or attempt to interrupt more, which leads to customers tuning out? Take this opportunity to learn from them in order to spark and engage in conversations, which will lead to relationship building and deeper brand loyalty. Real-time, responsive – so many content marketing options to consider. What’s the right combination? Read CMI’s e-book: Building the Perfect Content Marketing Mix: Top Priorities for 2015. Gregarious is the co-founder and CTO of Chute. He is responsible for architecting and scaling the Chute platform which makes it possible to discover, organize, obtain consent and publish fan photos and videos — as a mobile app, photo gallery, banner ad, or even a billboard in Times Square. Previously, Gregarious was VP of Product at Klout where he helped establish the Klout Score as the standard for online influence. For new ways to measure, evaluate, and take action on data, check out The Modern Marketer's Guide To The Data-Driven Galaxy. Follow him on Twitter @gregarious.